By car it will be very comfortable journey and easy to find. 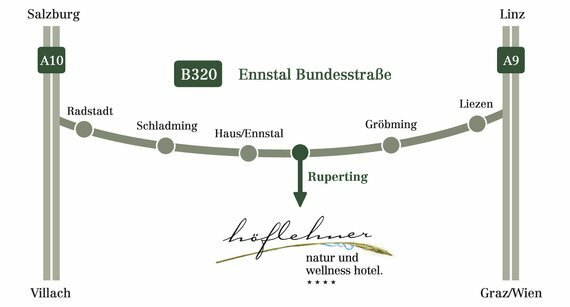 After passing Haus im Ennstal, you turn off at exit Ruperting and follow the road signs: Höflehner (hotel) or Höfi Express. 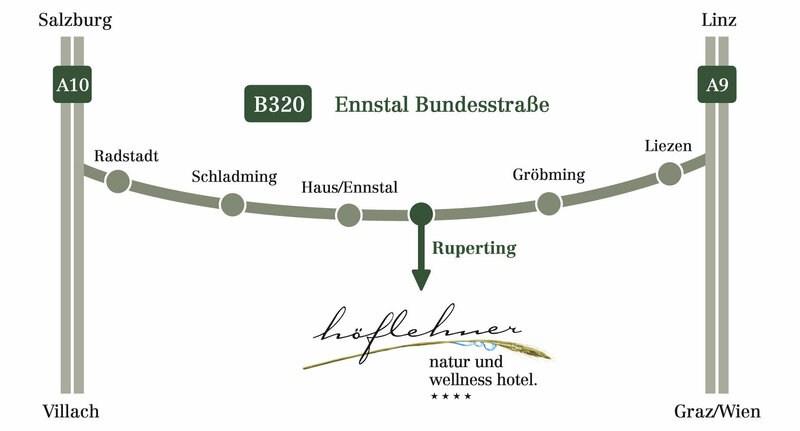 After passing Ennstal House, you turn off at exit Ruperting and follow the road signs: Höflehner or Höfi Express. Vienna – Semmering S6 - Leoben – St. Michael A9 – Liezen – Ennstalbundesstrasse B 320 (National Primary Road), then after the village Aich you turn off at exit Ruperting and follow the road signs: Höflehner or Höfi Express. Graz – Pyhrnautobahn A9 (motorway) – Liezen – Ennstalbundesstrasse B 320 (National Primary Road) after the village Aich you turn off at exit Ruperting and follow the road signs: Höflehner or Höfi Express. From Vienna: it will take 3h to get there. From Graz: it will take 1h and 45minutes. From Linz: it will take 1h and 30minutes. From Salzburg: it will take 1h. 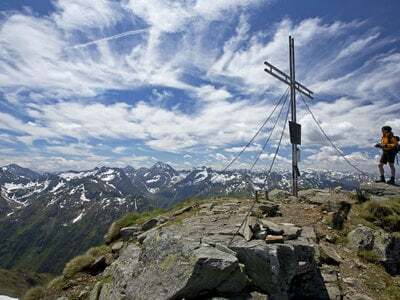 From Innsbruck: it will take 2h and 30minutes. 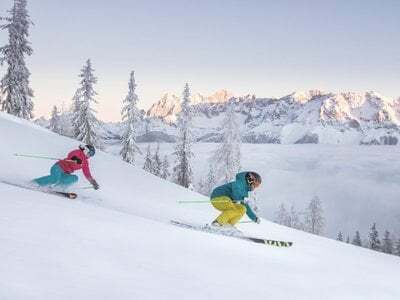 From Villach: it will take 2h. From Munich: it will take 2h and 30minutes.